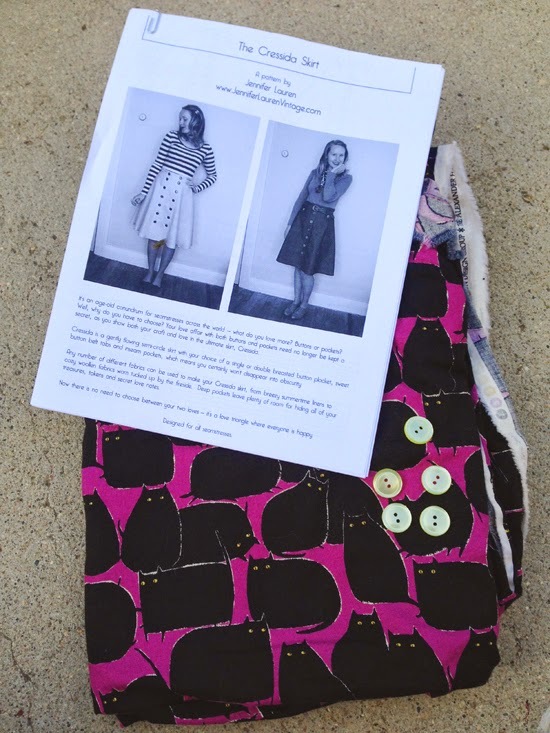 I should have posted this weeks ago, but I was so indecisive when it came to figuring out what I wanted to make for the Cat Lady Sewing Challenge. I've had this Alexander Henry quilting cotton in my possession for the last month or so, but could not for the life of me figure out what to make with it. A dress? Nah, Mod Cloth already has a cute version out and I'm not sure if this print would be "too much" for me as a dress. Currently, skirts have been getting a lot of wear in my wardrobe, so the new Jennifer Lauren Cressida skirt is very appealing to me. I'm not sure which version I'm going to make, however, I know that I'm going to use some yellow buttons. It's been really really cool to see everyone's in progress and finished garments. You can lurk #catladysewingchallenge on Instagram (or here on websta.me) and the group on Flickr. Looks like a solid plan! I tried to make a top, but I felt it looked too much like pajamas :( My jeans are done tho, just need to photograph them. Gorgeous fabric! :-) Good choice with the skirt pattern too - my vote would be with the single-row-of-buttons style with the buttoned tabs, since you're going with yellow buttons. I agree with Kat, I'd go for the single placket with the button tabs for that fabric! I love that fabric. The only cat fabric I could find was super derpy, but I bought it anyway! I love that fabric!! And I think it with look awesome as a skirt - can't wait to see which version you choose! Can't wait to see this! I just made up the Cressida and it comes together rather quickly. It will look so cute with yellow buttons. This is gonna be so cute!!!!! Holy cats (ha! I'm here all week..) I'm in love with this fabric. I may need to buy some too! Um...actually I might copy you entirely... I'm crushing on the double breasted version, with yellow buttons. Omg. You've nailed the epitome of cat lady skirt! I'm into the two rows of buttons too! I literally "LOL"ed at that!!!! hahahah!!! 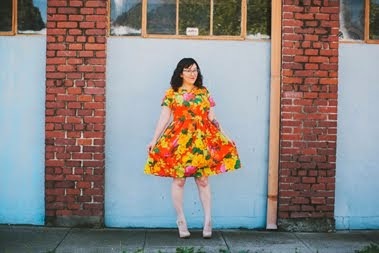 I think a cat shirtwaist dress is appropriate for any season :) Please send me a link when you make it over the summer. I want to see! I'm obsessed with those jeans!! !